noted: I love my postie after all! Thank goodness it's Friday!! The 4 days after Easter have seemed to have been the longest ever! 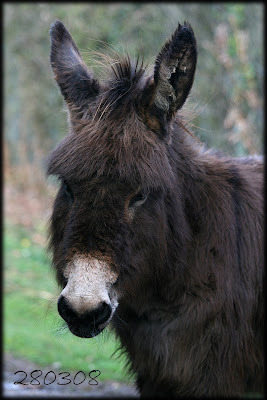 Although it's rained all day, I managed to snap this gorgeous little New Forest donkey! The other great news is my Studio Calico kit is here!!! And it's bliddy gorgeous!! Scrapping tonight with Sandie so might have some bits to share tomorrow! Great to see you the other day! brilliant photo well taken cool.